Westbrooke Manor is a subdivision of 472 homes in Farmington Hills, Michigan located south off 13 Mile Road between Orchard Lake Road and Farmington Road. There are two main sections: The older section is located in the eastern portion of the community featuring older medium-sized homes, both a single-story and tri-levels built in the late 1950s to mid-1960s. The newer section features a mix of ranch-style homes, tri-levels, and colonials, built in the 1960s, with a few built in the early 1970s. Prices range between $180,000 and $275,000. Layouts are between three and five bedrooms with 2 to 3 bathrooms in sizes from approximately 1200 ft.² to 2500 ft.². Homesites are between one quarter and a third of an acre and many homes have basements, fireplaces, and family rooms. The majority of homes have a two-car garage. Westbrooke Manor is located in the Farmington Public School district and served by Kenbrook Elementary School for grades K to 4, Warner Upper Elementary School for grades 5 to 6, O.E. Dunckel Middle School, and North Farmington High School. The Camarillo Montessori Center and the Montessori Academy of Farmington Hills are located just minutes from Westbrooke Manor. Close to Westbrooke Manor along Orchard Lake Road are several restaurants, cafés, fitness centers, shopping malls, and easy access to I-696 along Orchard Lake Road. The Glen Oaks Country club is located about five blocks from Westbrooke Manor featuring a golf course, country club, and is designated as one of Michigan’s Historical Buildings. 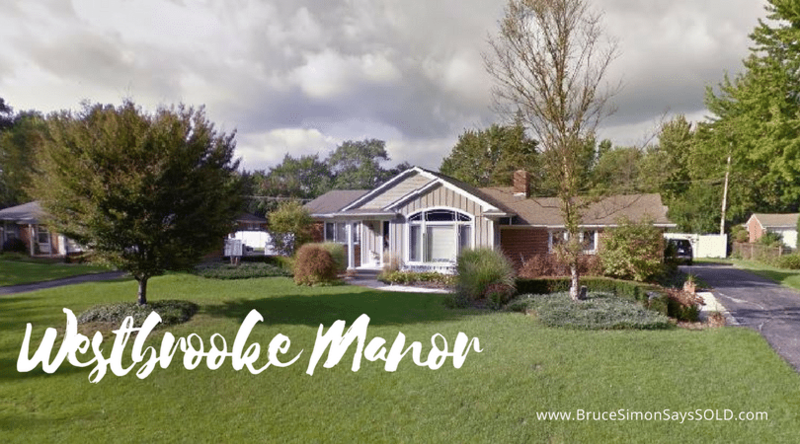 For more information on homes for sale in Westbrooke Manor, please see available listings on my website or contact me to schedule a showing and to be notified when new listings hit the market.